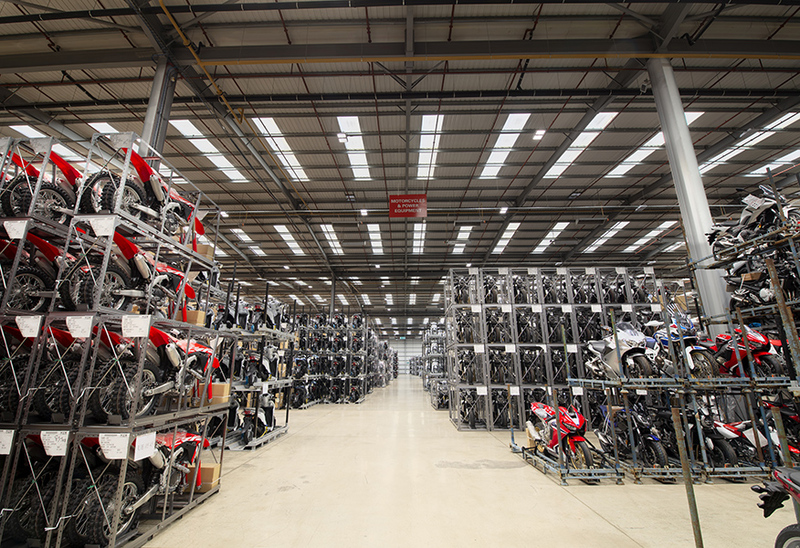 Honda drive towards “zeroing” carbon usage with a lighting upgrade at their UK logistics site, from Tamlite Lighting. 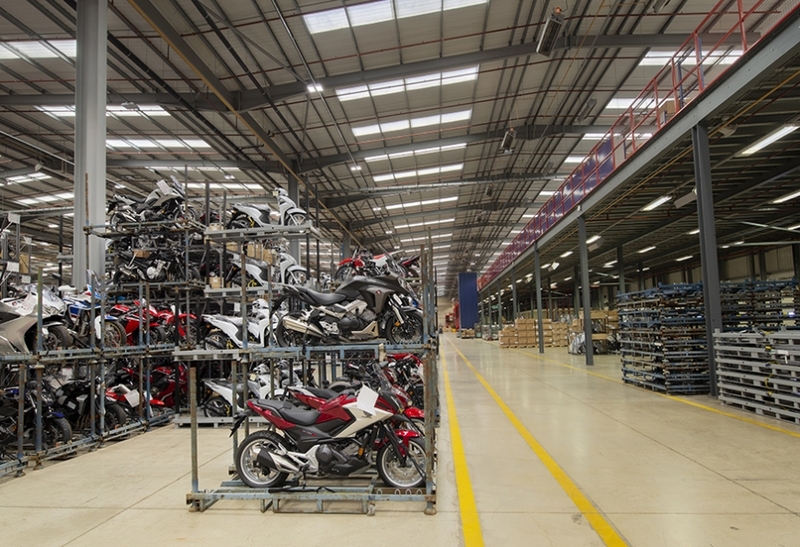 Honda, one of the largest vehicle manufacturers in the world, handles the distribution of cars, motorcycles, power products and industrial motors for the European market from its Honda Motor Europe Logistics (HMEL) division, which has 7 sites throughout the continent. The UK base, Swindon, was founded in 1987, and distributes parts, motorcycles and power products to dealerships around the country. In 2011 Honda established the Honda Environmental and Safety Vision. This requires each of Honda’s global business sites to “engage in the reduction of all environmental impacts”, with the reduction of carbon high on the agenda. As part of the Carbon Reduction Commitment (CRC), the HMEL site underwent a plan to reduce energy consumption, identifying a significant lighting upgrade as an effective way to achieve this. In partnership with CEF Swindon, Tamlite Lighting designed and supplied a lighting solution for the HMEL to help meet their objectives. 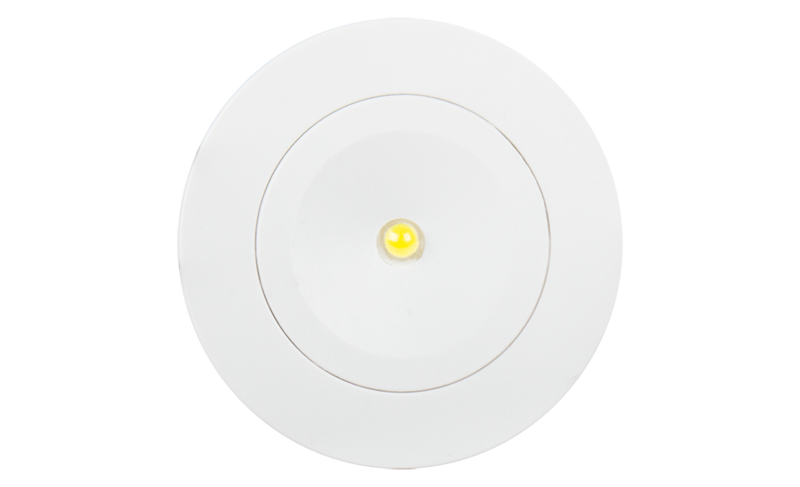 The scope for the lighting design included replacing the existing lighting system with a significantly more energy efficient lighting scheme in the warehouse and office building. The metal halide fittings previously used to illuminate the 400,000 sq. ft warehouse at the site were insufficient for Honda to meet carbon reduction targets, as they were extremely inefficient. 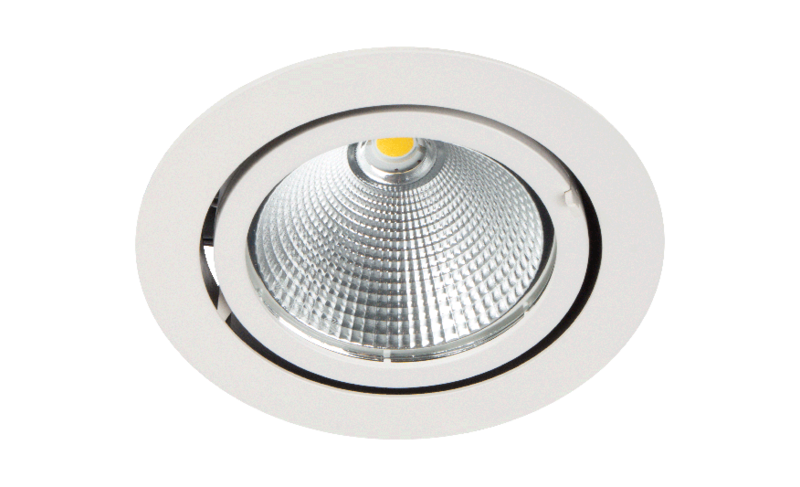 The existing fittings also incurred large maintenance costs and did not provide sufficient illumination, leading to unwanted shadows, inconsistent lighting and glare. 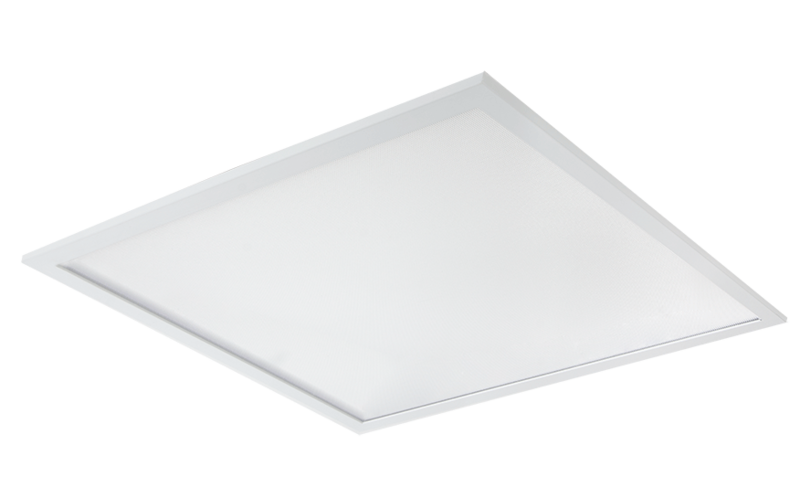 As part of the solution for Honda, high efficacy EXPO luminaires were specified, with Vision Lighting Controls. This allowed individual control of each luminaire, so that Honda only used the lighting where and when it was required. Previously, the lighting in the warehouse had been controlled in zones, and only allowed the lights to be switched on or off. 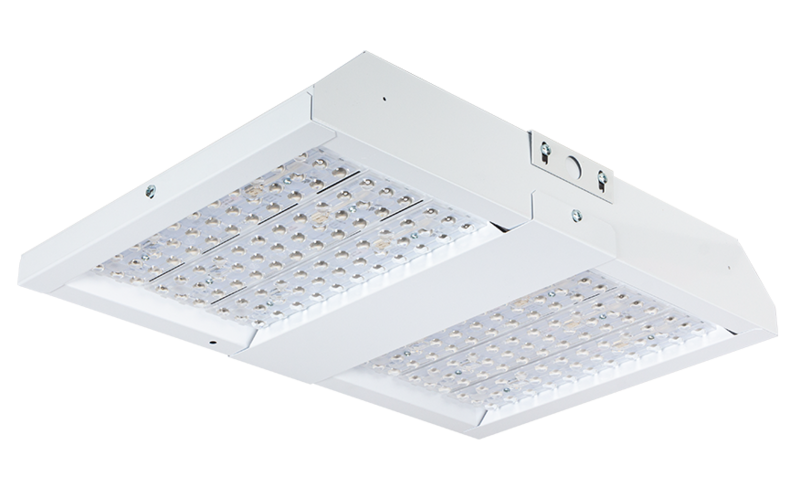 The lighting design specified luminaires that dimmed after 5 minutes of inactivity, substantially reducing energy consumption. 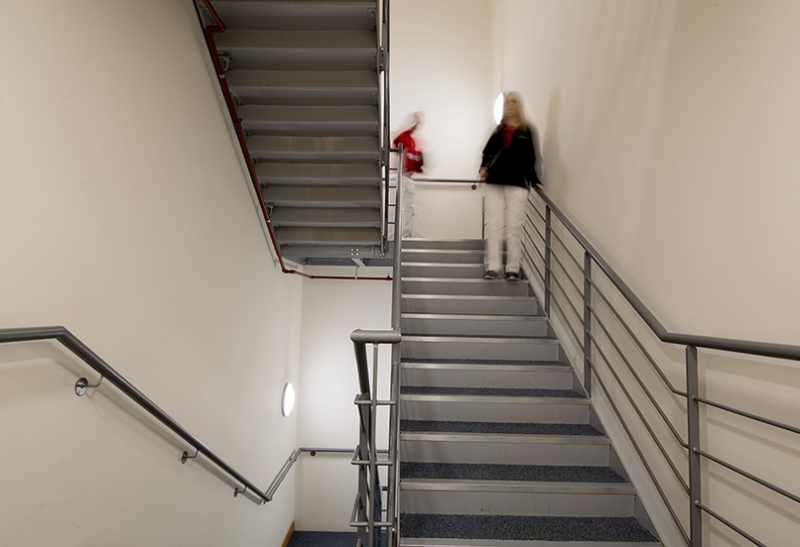 As well as energy efficiency, worker safety is crucial to HMEL, so by providing consistent light distribution, shadows are minimised, reducing the likelihood of accidents. 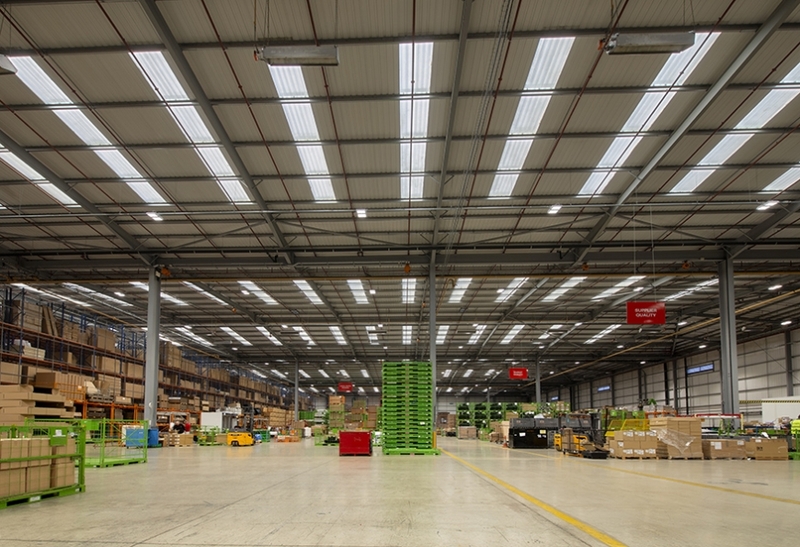 Tamlite designed a lighting solution for the warehouse that provided energy savings of over £55,000 per year, with an ROI of under 4 years. Honda also recognised that glare can cause discomfort for its employees, which can lead to eye strain and headaches. 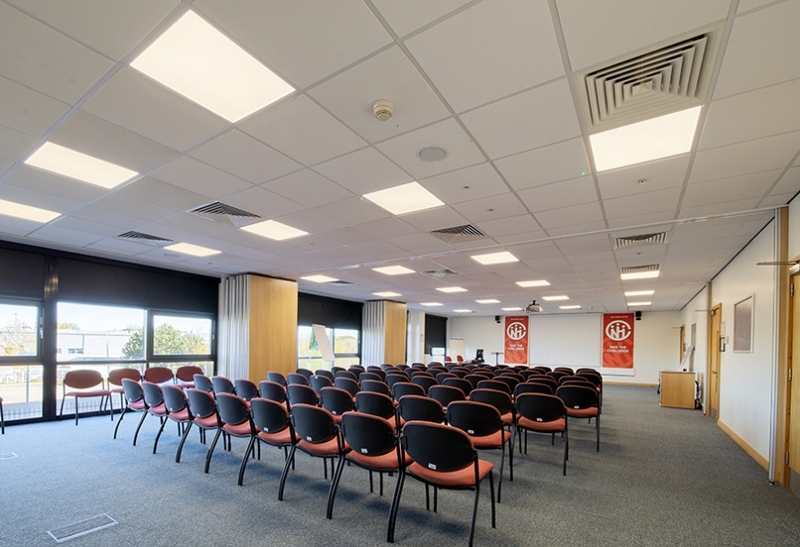 Therefore, an improved lighting system was required in order to promote staff wellbeing and comfort, leading to enhanced productivity in their offices. 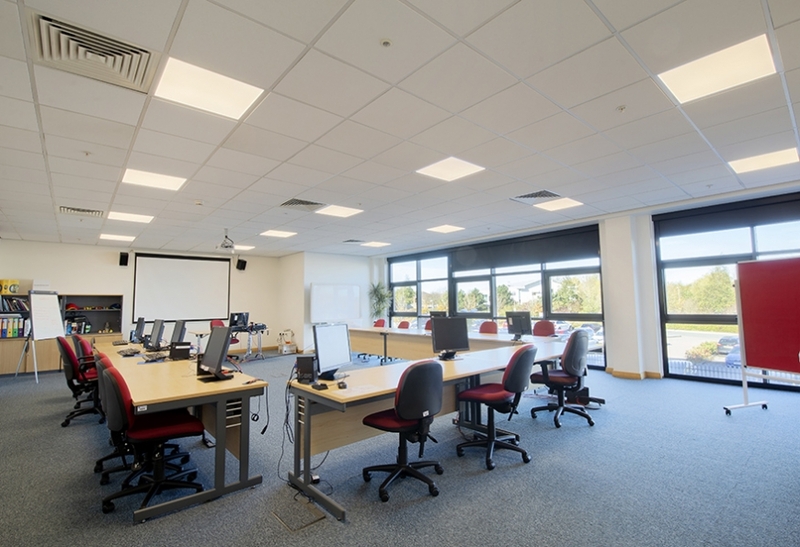 The lighting design in the office specified Tamlite MODLED LG luminaires, fitted with Tamlite I-Tech diffusers to reduce the intensity of the light and create a comfortable environment for their staff. 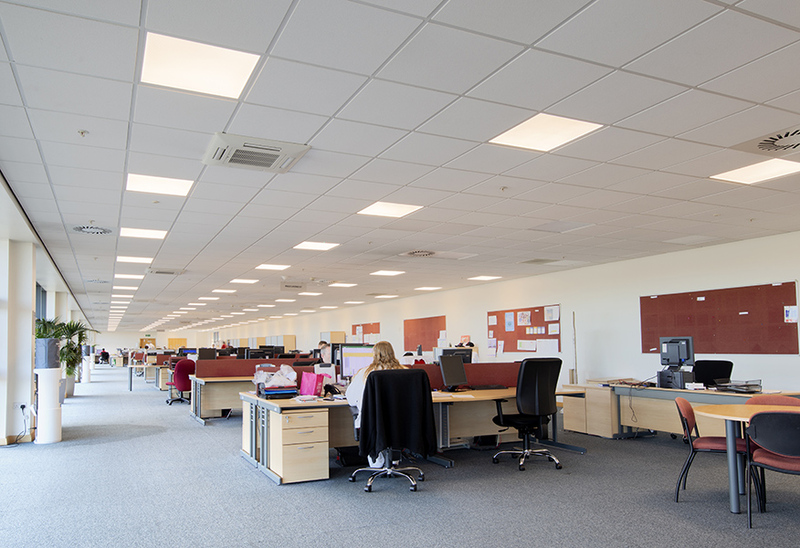 The Tamlite technical team provided a well-spaced lighting design that provided the right levels of illumination for HMEL employees to work, whilst creating a positive environment and eliminating energy wastage. Lighting for offices extends to more than just the working environment. 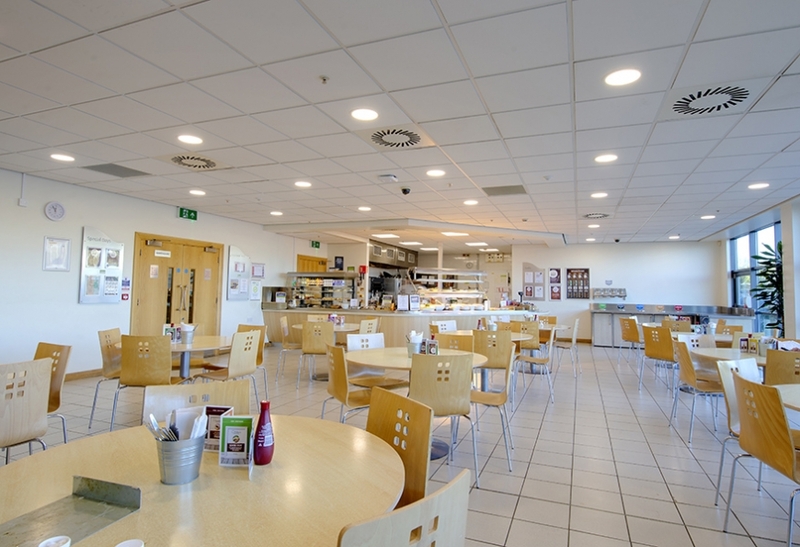 In the canteen and corridors at Honda, discreet downlights were installed. 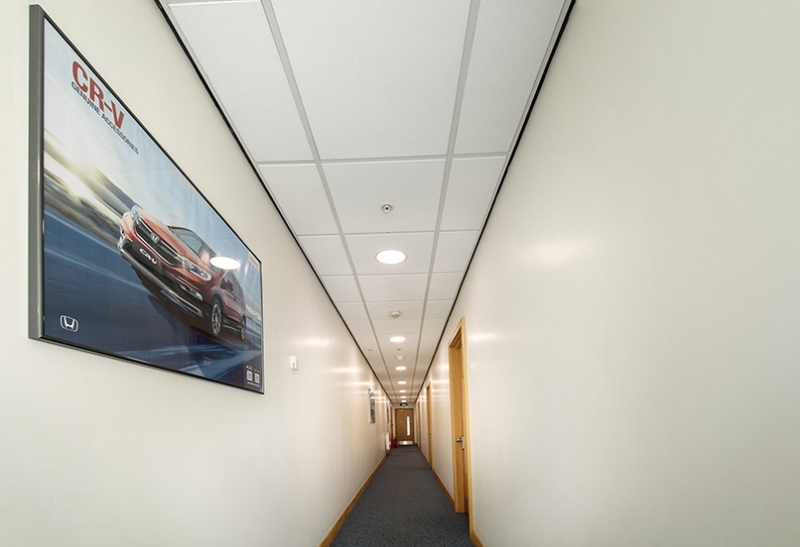 Corridors connect spaces in all buildings, creating a network for occupants to move about, so the Tamlite lighting system ensured that employees and visitors can quickly navigate their way around the large office building. 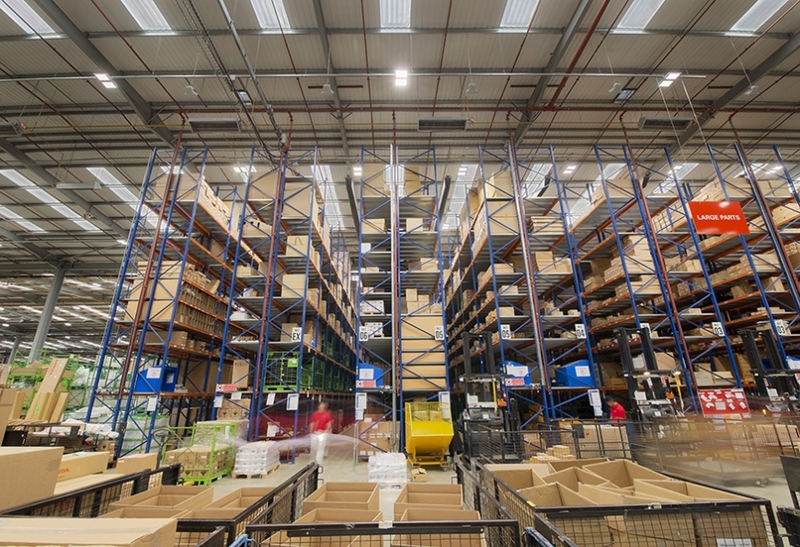 Tamlite worked along the supply chain, with CEF Swindon and HMEL to provide the lighting scheme on time and to their requirements, in order to minimise downtime and ensure that the enhanced lighting output could be achieved as soon as possible. All Tamlite Sales Engineers are LIA certified, and our Lighting Design team have 100 combined years of experience in scheme planning. As members of RELUX, they are able to design bespoke project solutions. See ALSO Office or Communal application images of this project. If you have specific lighting requirements in your sporting facility, see how our Technical Lighting Team can help you, for more information please Contact Us.